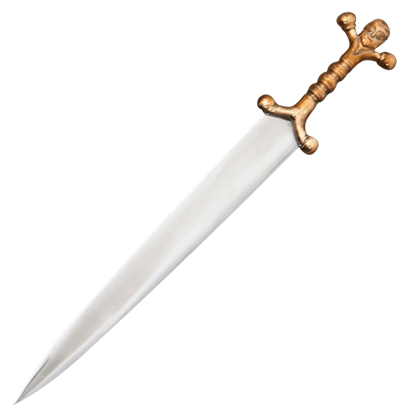 The Scottish Dirk was a direct descendent of the Medieval ballock dagger. The grip form began to change, probably sometime in the late 16th century, but soon developed a form that was purely Scottish. For those with a serious interest in the Highlands, a Scottish dagger or Scottish dirk is a must for any collection. Scottish daggers have inscriptions on their ornate hilts and handles that are made of box wood. Scottish daggers are like a work of art but beware they are still a true dagger used for stabbing. Collectors, reenactors, and any other appreciators of Scottish culture should not be without the iconic weapon of traditional Scottish dress. 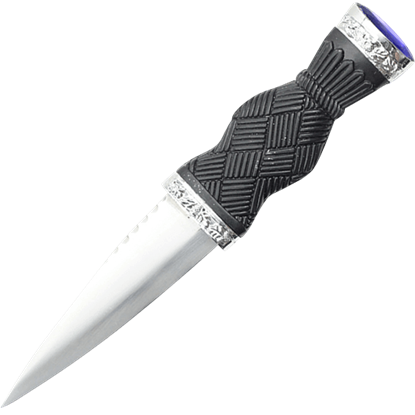 The Blue Gem Cross-Hatch Sgian Dubh is a beautiful take on the classic Highlander dagger. A creative take on traditional Scottish weaponry, the Blue Gem Harp Sgian Dubh is a stainless steel spear point dagger. The Celtic harp emblem decorates its textured, black composite hilt, and a gemstone inset rests at the pommel. Featuring a rampant lion inspired by the one seen on the Royal Banner of Scotland, the Blue Gem Lion Sgian Dubh is a fantastic replica dagger for reenactment, display, or even gifting. The flat pommel displays an inset blue gemstone. The Blue Gem Scottish Fantasy Dirk takes an elegant and regal approach to traditional Scottish weaponry. 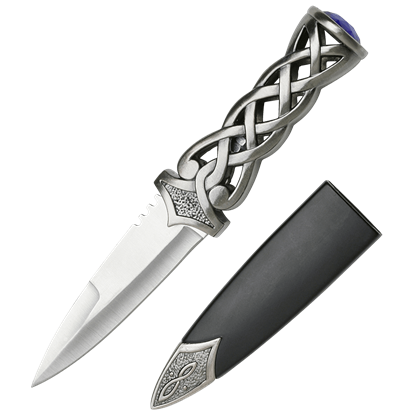 This Highlander replica dagger is made of stainless steel throughout with a beautiful blue gemstone set within its flat pommel. Scottish folklore tells of the importance of the thistle, and to this day it decorates crests and coats of arms. 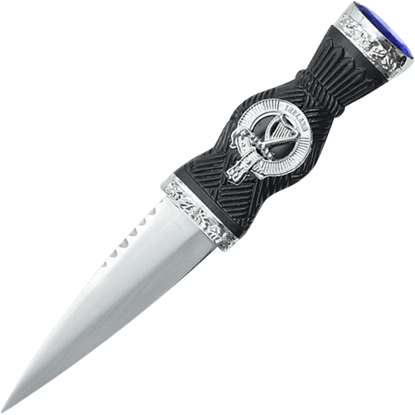 In homage to Scottish history, the Blue Gem Thistle Sgian Dubh sports a silvery Scottish thistle emblem upon its handle. This 11.75 inch long dirk showcases crisp etchings of the traditional Scottish foliage and thistle motif on both sides of the blade. 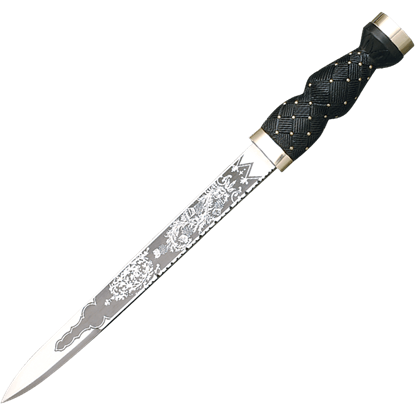 A 5 inch long false edge and a knurled pattern on the blade back mark this dirk with distinction. 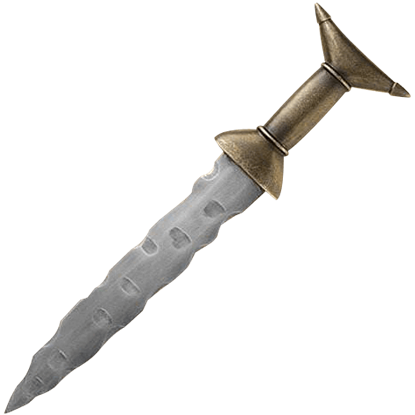 A personal weapon should be unique and distinctive, and few can offer such a trait as well as this Bronze Head Celtic Dagger. The appeal derives from the hilt, which, cast in bronze, is shaped like a man, complete with a head pommel. It is usually the little blades you have to look out for. In the case of this Celtic Boot Blade, that is doubly true, not because this dagger is dangerous, but because its stunning design is one that you will not want to miss seeing. This magnificent Celtic Flame dagger has magical Celt appeal! Each flame like blade of steel is individually and masterfully forged by hand and comes with its own leather sheath which is made individually to fit each kris blade. Sometimes a classic historical item is brought into the modern era with a twist that not only gives the item a newer look but creates an entirely new item. Such is the example with the Celtic Sgain Dubh. 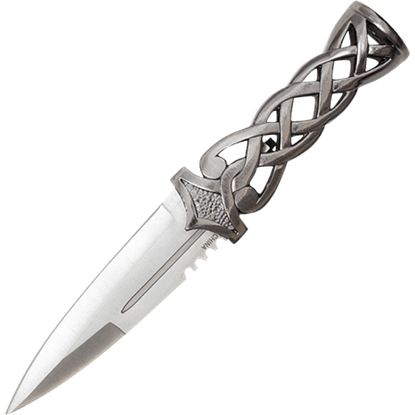 Grab your favorite Celtic outfit and head on down to your local Ren Fair to show off your new Celtic Triquetra Dagger! 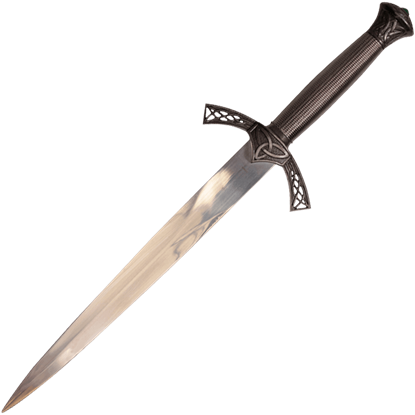 This lightly adorned blade sports an old-world appearance, thanks to its medieval Celtic design and decoration! 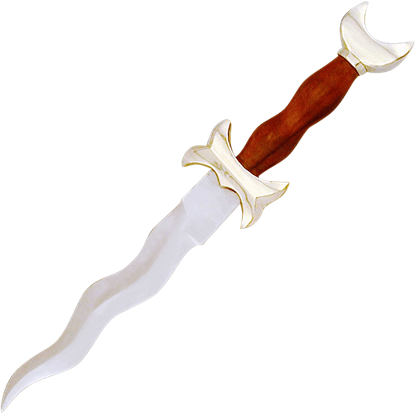 This wicked dagger was used with effectiveness in battle as well as around the camp. 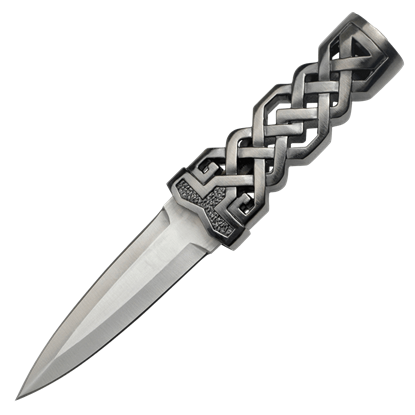 The Celtic War Dagger features a solid metal handle with integral guard. The unique blade is made from hand forged, tempered high carbon steel.